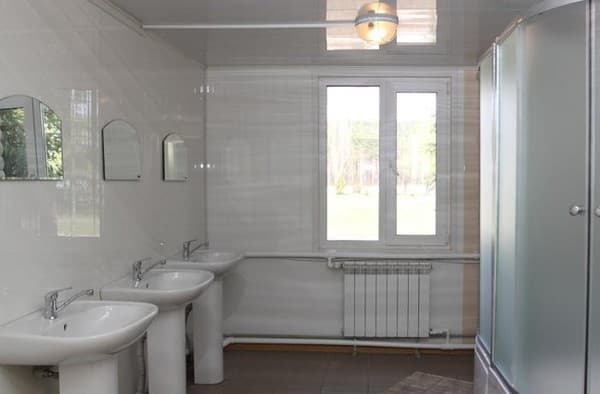 Hostel "4 Seasons" is located in the central part of Slavutich at a distance of 100 m from the city park. Guests can stay in cozy multi-bed or double rooms, which are decorated in European style. Each room is equipped with twin beds or one double bed, bedside tables and a wardrobe. 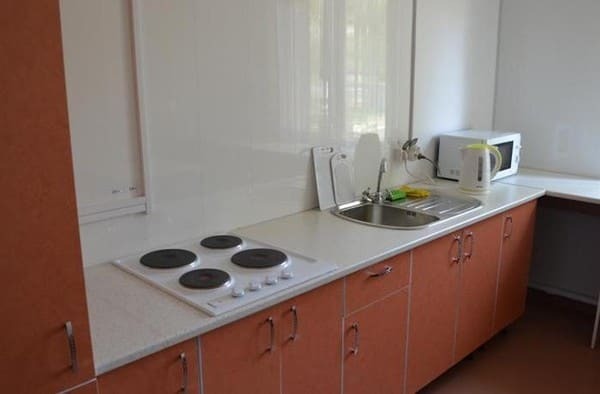 Communal facilities are located on the corridor. The bathroom is equipped with shower cabins, toilets, washbasins and hand dryers. There are rooms with an individual bathroom and a TV. Free Wi-Fi is available in public areas. 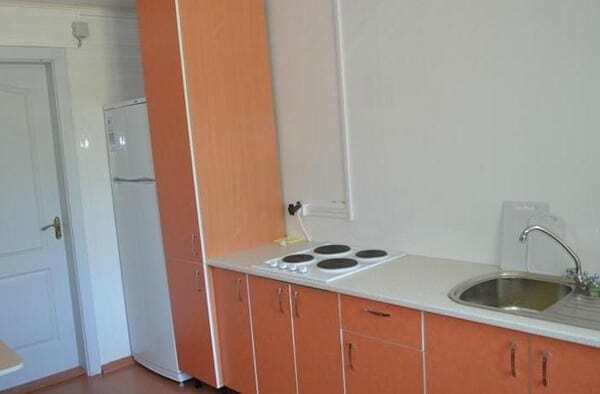 The hostel has a fully equipped common kitchen, where the guests can cook on their own. A hairdryer and iron and ironing board are available upon request. On the territory there are unguarded parking places for cars and in 400 m a paid guarded parking lot. Hostel "4 Seasons" is located 850 meters from the railway station. In walking distance there are many restaurants, cafes and shops. 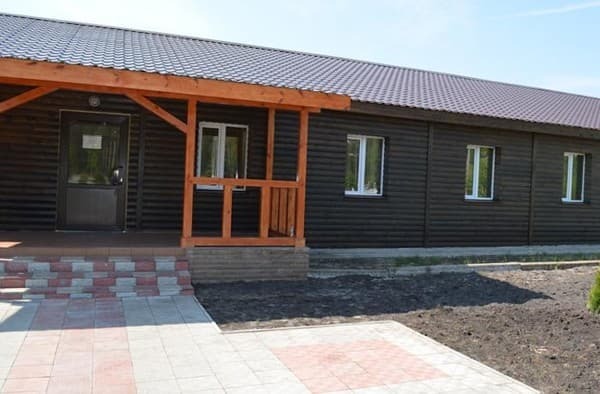 Distance to Kiev - 191 km, to the city Chernigiv - 56.7 km. Description of the room: Total number of rooms is 4. The room is equipped with beds and bedside tables. There are rooms with TV, which are more expensive. Description of the room: Cozy single room. Рекомендую відмінне місце,один недолік група роботяг алкашні,але їх адміністрація завбачливо селить в іншому крилі подалі від клієнтів. It is possible to place only in the main places. In the hostel "4 Seasons" there is a fully equipped common kitchen, where the guests can cook independently. 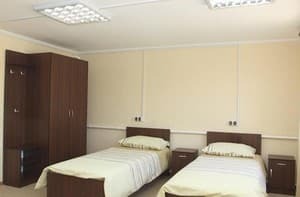 Hostel "4 Seasons" is located in the central part of Slavutich at a distance of 100 m from the city park. 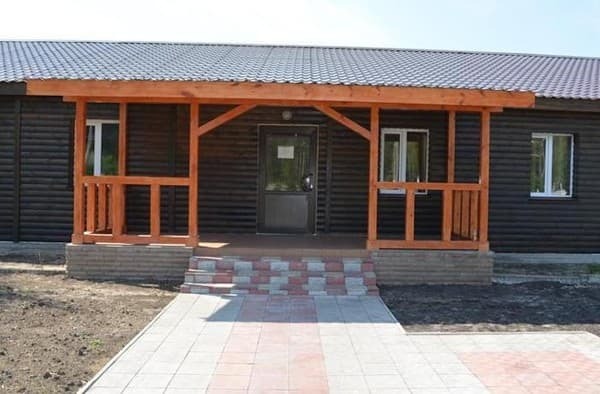 The distance to the railway station is 850 m.
By public transport: up to hostel "4 Seasons" from Chernihiv city you can get by train from "Chernigov" station to "Slavutich" station By car: from Chernigov city on the P56 highway.